Paul Berners masterpiece ''The Road to Memphis, The Devil and Elvis Presley'' is the Soundtrack to the movie that still has to be made. A movie about Elvis, focusing on the saga of a country boy becoming a king, a movie that find Elvis standing on the same cross road where blues singer Robert Johnson had been standing some 30 years before. And there, on that crossroad, 'en route to Memphis, the devil in the form of colonel Tom Parker appears and buys Elvis' soul in exchange for fame and wealth. But on the other hand when one listens to track 6; ''The Colonel '' another more complex picture of Tom Parker emerges, that of a man in pain and remorse. Was he the Devil? Just before the melody enters you hear small squeaks from dried monkey hands and a voodoo priest blowing smoke, trying in vain to undo the whole deal. Then Parker, Michael Moore's clarinet, ''sings his song''. A song about the illegal immigrant Andreas Cornelis van Kuijk, changing his identity and becoming Tom Parker, going from the old world to the new, from rags to riches, from laborer to kingmaker. Maybe Parker too had been standing on that crossroad. Maybe Parker by bringing Elvis to fame, was trying for a new deal with the Devil.... Elvis in exchange for his own soul. Born in California, Paul Berner spent his youth in a small town on the Great Plains. There he started playing guitar at age 13 and was soon playing in a local rock band. The double bass followed a couple years later, coinciding with his developing interest in jazz. At 18, after 3 years, but only a few lessons, on bass, he passed the audition for entrance to the University of Iowa School of Music. Intent on developing his technique and his musical horizons, he chose to study classical bass playing, though he always was involved with jazz music outside of school. After receiving his Bachelor’s De gree in Music Performance, Paul moved to Bloomington, Indiana for post-graduate studies at the Indiana University School of Music, also in classical bass. Here he came in contact with musicians such as Peter Erskine, Kenny Aronoff, Todd Coolman, Jim Beard, and John Clayton. 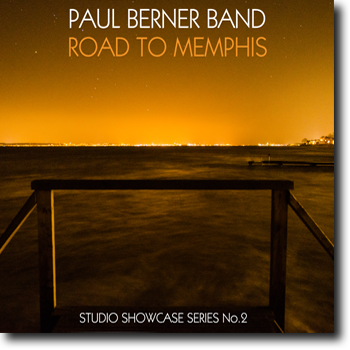 Paul Berner in Studio Eleven. In 1990 Paul made a “quality of life” decision and moved his base of operations to Amsterdam in the Netherlands. To paraphrase Bill Frisell, he wanted a house with a room where he could just sit and think! After arriving in the Netherlands he soon found his talents much in demand, and consequently he has worked with many well-known Dutch and Belgian artists such as Cees Slinger, Toots Thielemans, Dré Pallemaerts, Jesse van Ruller and Laura Fygi. In addition international artists such as Shirley Bassey, George Coleman, Michael Moore and Monty Alexander call upon his bass playing. Recorded in Studio Eleven (Hilversum) with a live audience on November 25, 2012. Special for those who own high-end audio equipment will have maximum benefit. No quality degradation whatsoever. Enjoy!